China is the largest beer market in the world with an annual consumption of 45.7 billion litres, twice as much as the US, and more than five times what Germany, the largest beer market in the EU, consumes. 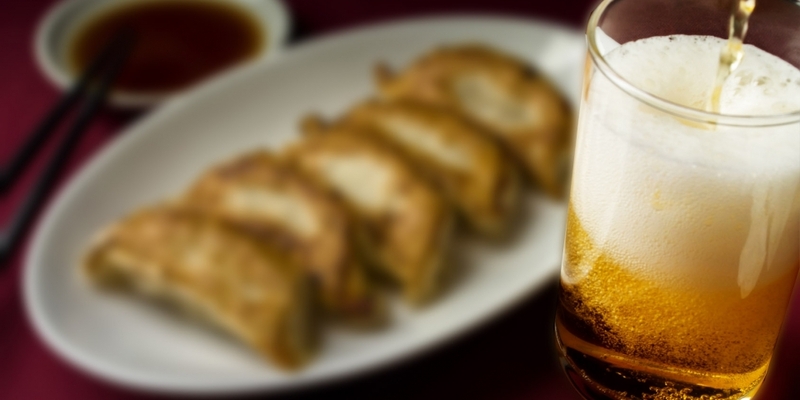 In China, beer represents 75% of the total amount of alcohol consumption in terms of volume. The Chinese mass-consumed beer market has matured over the years. During the last few years, the volume of the total beer market has been decreasing, mainly due to the decrease in production and consumption of the Chinese mass-consumed beer segment. However, the value of the total beer market is showing year-on-year growth during the same period, driven by the premiumisation of the market. Beer imports have been growing by double digits over the last 5 years. China’s beer imports (750 million USD in 2017) are dominated by EU producers - about three-fourths of the imports have an EU origin. Germany is Europe’s leading beer exporter to China in volume and value, but many other European countries have significant shares of the total imported beer market in China. European beers are perceived as high quality and enjoy an advantageous positioning. In total, almost 75% of the imported beer in 2017 by value comes from EU countries, including 4 of the top 5 exporting countries (Germany 1st, Belgium 3rd, Netherlands 4th and Portugal 5th). European breweries have an excellent opportunity to tap into this premium market. From a consumer point of view, due to the rise of the millennial and increasing levels of wealth, the Chinese consumer has a more nuanced view of brands. In earlier years, a foreign name would have already been received as high quality, however, this is changing since the Chinese consumer is developing a sharp-eye for brands. The expectations for products are increasing - quality, value and service have become more important than ever. These higher expectations also apply to foreign brands. This 48-page report encompasses useful and practical information on market size, trends, geographical distribution, retail channels, price tranches as well as consumer demands. Get started with your approach to the world’s largest beer market with a sound plan which this report will help you delineate! Daniel Pedraza is Director for China at Eibens, a consulting firm specialized in China’s agrifood industry. Eibens assists private companies and government trade promotion agencies dealing with market access issues and trade compliance. It also supports their business development and communication efforts in traditional and online channels. He is a specialist on trade compliance and marketing for foreign F&B companies in China. He is also responsible for Eibens day-to-day business operations in China. Daniel has lived and worked in China for over 6 years. Prior to joining Eibens, Daniel worked for the European Union Chamber of Commerce in China and EXTENDA, the trade promotion agency of the Government of Andalusia-Spain in Beijing. He holds a master’s degree in International Business from EOI Business School and a Double BA in Business Administration and Economics from the University of Malaga. China expertise: market entry strategy, cross-border e-commerce, food & beverage, marketing strategies for SMEs. Liam Jazcii has over four years of working experience in advising European businesses in market access and business strategies in China. Liam has solid experience in all aspects of large-scale events and trade mission organisation and project management. Prior to joining the EU SME Centre, Liam served as the Marketing and Membership Manager at the Benelux Chamber of Commerce in China. Members of the EU SME Centre’s implementing partners and MoU partners enjoy 20% off on purchasing the Centre's paid-for content. If you would be interested, please contact your affiliated chamber for the discount code. Our implementing partners are - European Chamber of Commerce in China, French Chamber of Commerce and Industry in China, China-Italy Chamber of Commerce, Benelux Chamber of Commerce in China, China-Britain Business Council and EUROCHAMBRES. A list of our MoU partners can be found here.